What Does A Circle Mean? The shape of the circle has been used as a symbol since the beginning of time. Ancient cultures all over the world used the circle to represent the same thing. The circle can represent the power of the female, a symbol for a goddess, and the sun. It can represent infinity, being complete, and being whole. Religions that focus on the earth at their center and many pagan religions see the circle as a symbol of the female. The circle can symbolize Mother Earth. It represents the spirit of feminine energy and a space that is sacred. 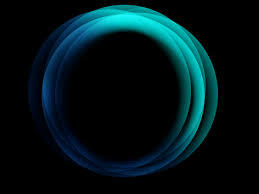 The circle will symbolize being closed in and boundaries. It represents cycles. The most well known example of the circle as a symbol is probably the wedding ring. Ancient cultures connected the ring finger with the heart. The wedding ring on the ring finger represents fidelity in the heart. The heart would be closed off in the circle. The ring will represent infinite love between the couple, love that does not end. The circle will represent being inclusive, whole, and united. It symbolizes focus and cycles. The circle nurtures and begins things and is perfect. It can represent the womb. It symbolizes being complete. It is a symbol of revolution, of being centered and mobile. It is a symbol of forever. The circle has a lot of different meanings. Ancient cultures used the circle to note the way that time and seasons passed in a cyclical way. The circle in alchemy is used for a focus point. Certain Native Americans saw the circle as a symbol of a few different things. They saw the circle as the sun and as the moon and the children of the moon. They used the circle to show the gender of the children. The circle is in the symbols for both male and female. The circle has a spiritual energy for them. Celtics used circles for protection. They believed neither enemy nor evil could cross the boundary. Celtics saw the circle as a symbol of space and the universe. Chinese use the circle to symbolize heaven, and a square to symbolize earth. Chinese art has used squares inside of circles. They used the square inside the circle to represent heaven and earth being united. The yin yang symbol is made up of circles. It will represent the two sides of balance. Circles are used in art to pull the viewer into the piece. Landscape paintings will use circles to make the viewer feel that they are in the landscape. Other symbols will use circles to include the viewers. A cross with a circle around it will include the viewer in the power of the cross. The cross is sacred and divine and the circle is used to make the viewer feel the same way. Circles will unite, include, and make people feel whole.